The Long Story | geek projects. I managed to get the 5×2 pin header, and a “jtag cable” from a previous employer. I haven't soldered in awhile so I messed with it awhile trying to desolder all the points to attach the 10-pin header. Well, turns out, as far as I know, that the ground connections are not drilled through. So I attached ground to the serial port. Then I look at the “jtag cable”. 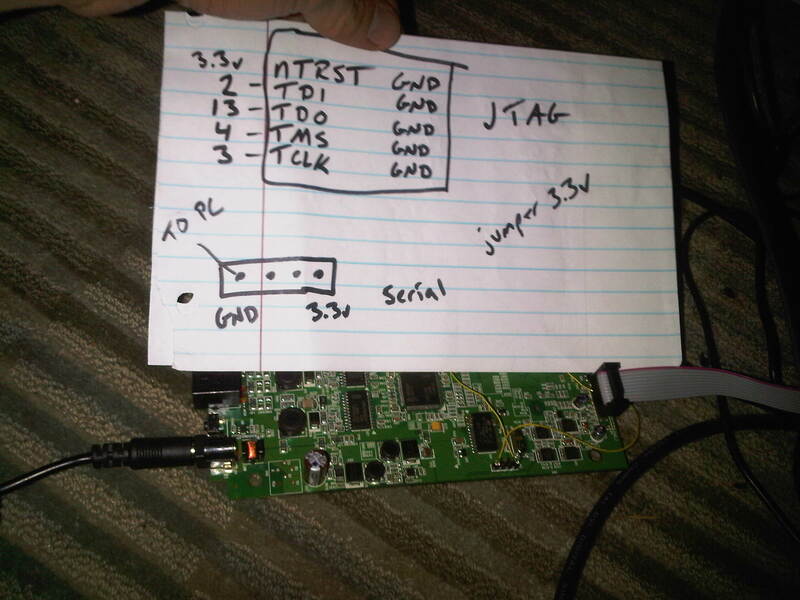 It's not wired at all like any JTAG I saw mentioned. Well, Bob did say he tried to make his own once and it didn't work. I guess that's the one he gave me. Don't know why, he's got several. One is USB, wish I borrowed that one now.. So I tried tjtag again and no dice. wtf. but some italian program for AR7 noticed the CPU ID as “1” so I searched and found UrJTAG. I had to find libusb0.dll and ftd25xx.dll so the program will run. Neither library being utilized… wtf! But works better than getting cygwin for the old jtag tools ports.. What a day! All to save a $15 router. hah. I returned from sleep and it didn't work. I programmed the wrong address. soooo unless UrJtag says the Manufacturer and Chip type, it's not gonna work. Remember that. I assumed it was a supported family, but unsupported chip and thus didn't display. 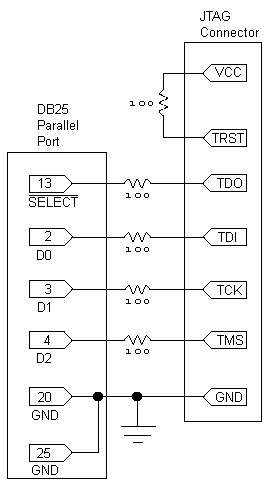 0x3fc00000 would be the 16-bit access to any MIPS CPU's boot-rom, which is of course mapped to flash for us. It's also mapped at 0x30000000. For me, the 64k image takes just under 30minutes to flash. I recommend using noverify when flashing.